As a leader of sensing and control technology for all canmaking industry needs, we deliver superior performance to your production line. have been inspected by one of our products. Trusted by can machinery suppliers to help their machines perform faster, better, smarter, and with higher quality. We bring that knowledge to every customer we work with, helping design solutions for your company that are customized to meet your needs. Our experienced and highly technical team will collaborate with you to ensure your needs and goals are communicated throughout the development process. The key to our success is our commitment to solving our customers' needs. Prime Controls provides vital inspection solutions for 2-piece beverage can plants all around the world. 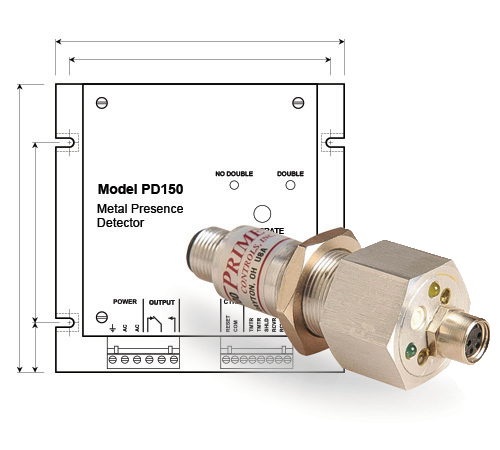 From a wide range of double sheet detectors, designed to ensure no two sheets of metal enter a press, to light leak detection for finding very small pinholes in can bodies at high speeds online during the leak testing process, Prime Controls’ solutions keep can manufacturers’ production lines moving and efficient. As a trusted supplier of high-speed, on-line inspection equipment for food, aerosol, and other 3-piece cans worldwide, Prime Controls offers solutions that improve can plants’ bottom line, boost product accuracy, and ramp up manufacturing efficiencies. Our product line of double sheet detectors and air leak detection systems provides peace of mind for canmakers, while safeguarding machinery and ensuring quality finished products. As standard components on most EOE conversion presses, Prime Controls’ sensors and controls have inspected nearly every beverage can end in the world. Our can end products not only prevent double shells from entering the press, they also guarantee the presence of the tab on the shell as it exists. As the ends exit the press, our light leak detection sensors detect leaks five microns and below at speeds that exceed the industry standards. We also offer double shell and end detection for curlers for continuous prevention of double ends. and control systems for the canmaking industry, we deliver superior performance to your production line. We partner with a select group of forward-thinking, best-in-class OEMs among the canmaking industry where innovation and advancement are the forefront of their priorities. As OEMs constantly search for ways to improve their machines’ quality, efficiency, and overall cost; Prime Controls steps in to offer innovative, revolutionary solutions to catapult can manufacturers into a new era of canmaking. Our deep understanding of the industry and technical background results in systems that raise the bar for the canmaking industry. Visit us for an interactive experience at The Grand Tour 2019, the new global technical conference and exhibit for can makers, fillers and their suppliers. 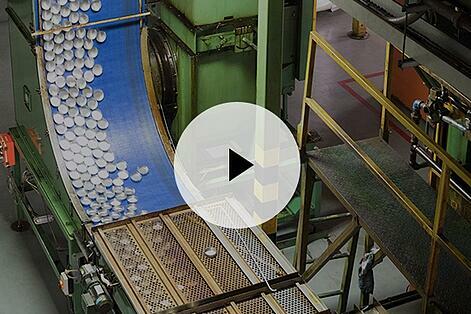 Keep the Production Line Moving. We always focus on providing better solutions through communication and value. 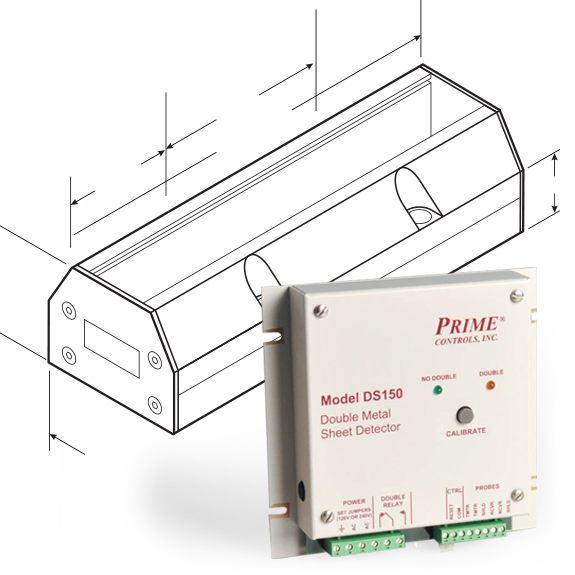 At Prime Controls, we work with our customers to find the right solution for their products. 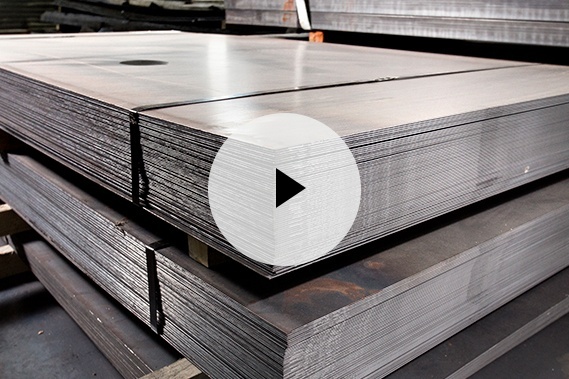 better overall knowledge of multi-industry issues in metal forming. We bring that knowledge to every customer we work with, helping specify solutions for your application. Our experienced and highly technical support team will work with your staff to ensure your needs and goals are communicated throughout the process. As the leader in double sheet detection, we provide services to the canmaking, automotive, appliance, and other metal-forming sectors. Our steel solutions include a series of double sheet detector controls that, when paired with a single, contacting double sheet probe, will measure a wide range of thicknesses for steel and other ferrous metals. Perfect for sheet feeders, robots, and destackers forming parts for the automotive, canmaking, and other metal forming industries. 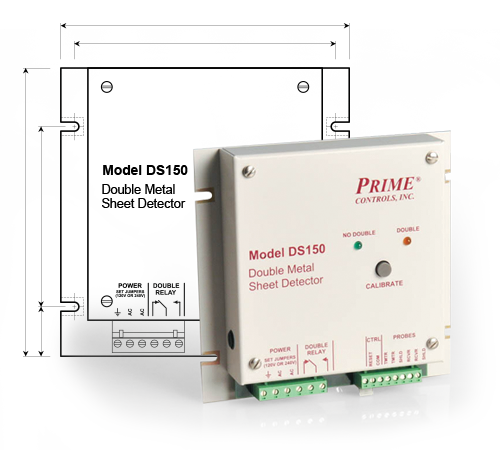 Our all metal solutions include the DS150 Series double sheet detector controls. When paired with two, non-contact double sheet probes the detector will measure a wide range of thicknesses for all metal types. 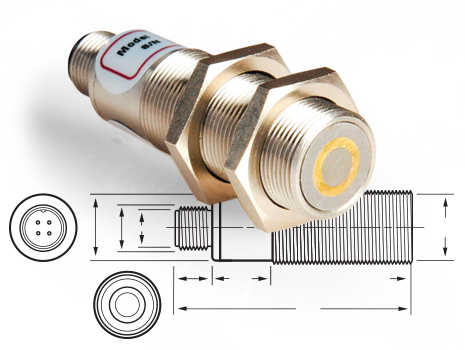 These control systems detect double sheet instances, where the metal is able to pass between the sensors for a non-contact, non-marring solution. These systems are perfect for sheet feeders for the automotive, canmaking, and other metal-forming industries. Perfect for automation applications, robotics, automated destackers, sheet feeders, and in-fixture (poke-a-yoke), where sensing from one side is possible. 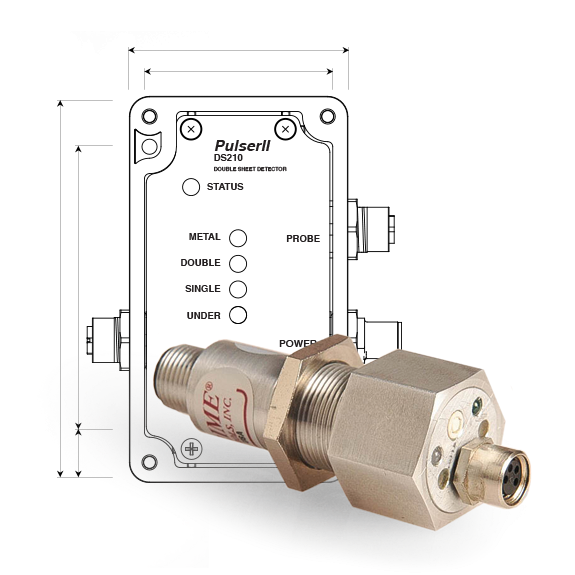 When paired with a single, non-contacting double sheet sensor, these controls detect a wide range of thicknesses of aluminum and other non-ferrous metals from very thin to very thick gauges. With the automotive industry moving towards the use of more and more aluminum in their automotive body parts, the DS600 Series was designed with this in mind, providing the first of its kind double sheet detector that is both single sided and non-contact. 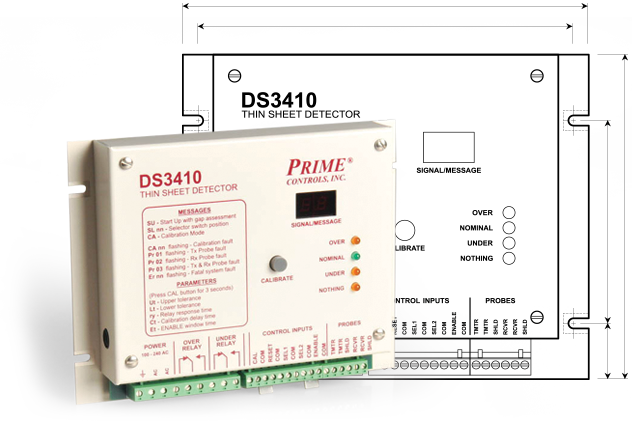 Our thin metal solutions include the DS3400 and DS160 Series Double Sheet Detector Controls. These systems detect double sheets of very thin stainless steel, aluminum, thin foil, and copper. Depending on the contact preference, either contact or non-contact, the DS3400 and DS160 Series has you covered, providing solutions for both contact preferences. Perfect for metal food packaging, pharmaceutical packaging, metal caps and seals, peel-off lids, and blister packs. 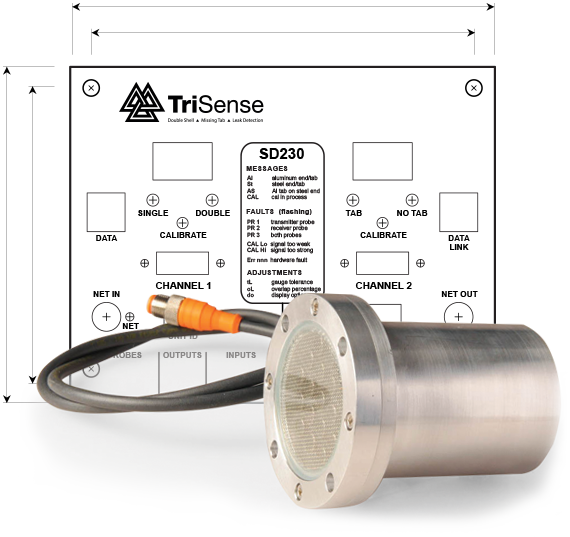 Our part detection solutions include the SC200 and PD100 Series part detector controls. These can detect the accurate position of, or the absence of, a very small missing part within an assembly or finished product. The key to our success is our commitment to solving our customers’ needs. When your company needs metal sensing solutions, leverage a leading developer and manufacturer of high-quality metal sensors. Prime Controls has spent a quarter of a century meeting the needs of companies in a wide range of industries all over the world. Prime Controls is deeply rooted in the field of double sheet detection, with a history that started long before our company inception. It began over 50 years ago through Hyde Park Electronics (which is now part of Schneider Electric). Over the years, the product line has evolved to meet the needs of our customers. Our design team is easy to work with due to our level of experience in the metal forming industry. We often present our customers with solutions that we've found helpful in the past while providing you with a completely customized final product. We believe the partnership we form with your company doesn't end once the design process is complete. Visit us for an interactive experience at the PMA Chicago Suppliers Night, where connections are made and where deals get done.